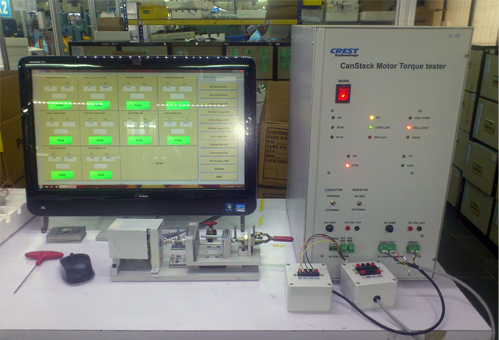 Stepper Motor Test System – Crest Test Systems Pvt. Ltd.
Stepper motors are motors that divide a full rotation into a number of equal steps, essentially acting as positioning devices. The stepper motor is supplied with a train of input pulses on the basis of which it can move to and hold any one of these steps. 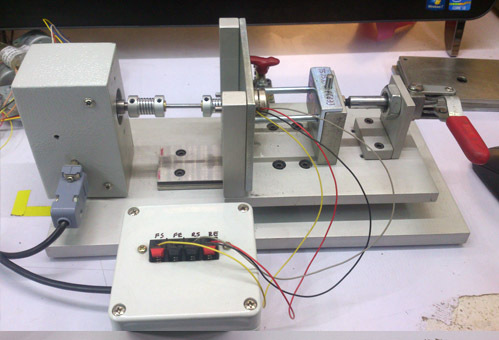 There are two kinds of stepper motors – unipolar stepper motor and bipolar stepper motor. 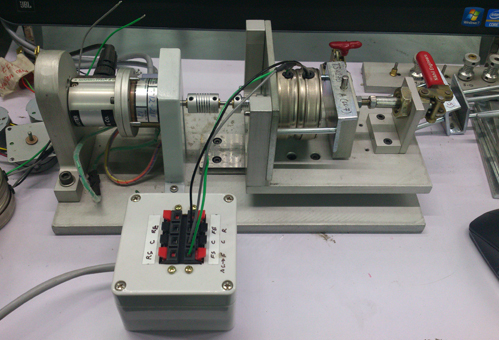 A unipolar stepper motor has one winding with a centre tap per phase. Bipolar stepper motors have one winding per phase. Stepper motors are typically used in positioning systems for computer printer, scanners, CD drives, camera lenses, plotters, CNC machines, medical appliances, etc. Stepper motors have various important parameters that must be measured when the motor is manufactured to ensure optimum performance. 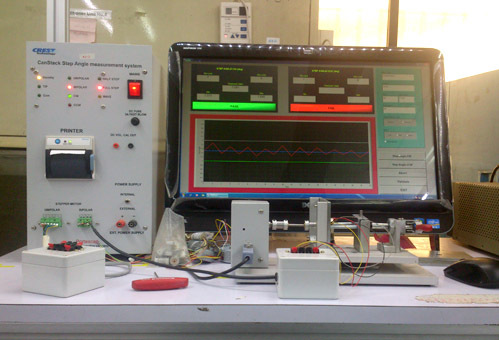 Some of the important parameters measured are pull-in torque, pull-out torque, detent torque, step angle, speed etc. Testing motors help the manufacturer to determine that the manufactured motors conform to the specified performance parameters and are free from any manufacturing defects. Depending on the motor type, a vast suite of tests is available right from torque-speed characteristics, which is common for almost all types of motors, to specific types of tests that are applicable only to a particular motor type.